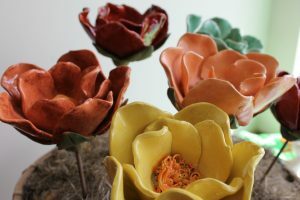 Think spring by creating your own clay garden flowers. They bloom all year and you never have to water them. Make two flowers and then paint them to be uniquely, colorfully yours.